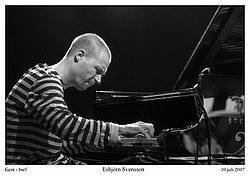 I was shocked to read that the great Swedish Jazz musician/composer Esbjörn Svensson was found dead yesterday (Saturday 14 June 2008). I am not a big Jazz fan, but EST‘s and especially Esbjörn way of hitting the piano keys is truly magic. One of Sweden’s greatest musicians is not with us anymore. This is indeed a tragedy.